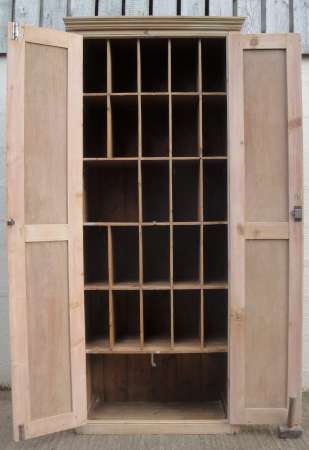 69″ in length x 4 3/4″ square section. 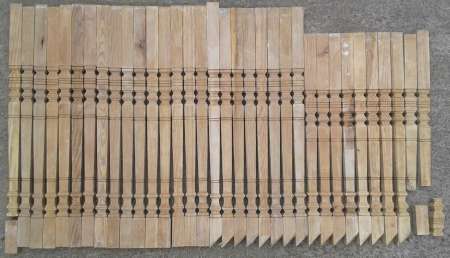 Turned section – 41″ in length. 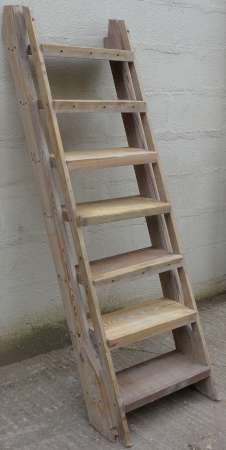 A reclaimed pine & hardwood staircase. 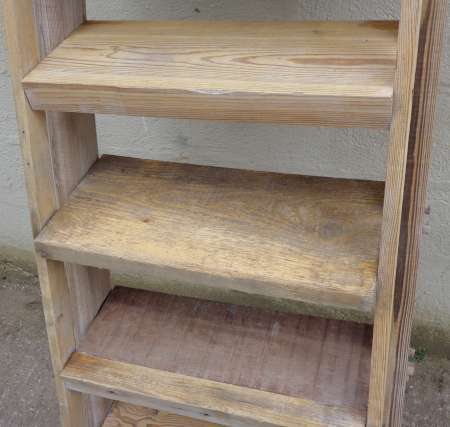 Rise to top step – approx 1500mm. 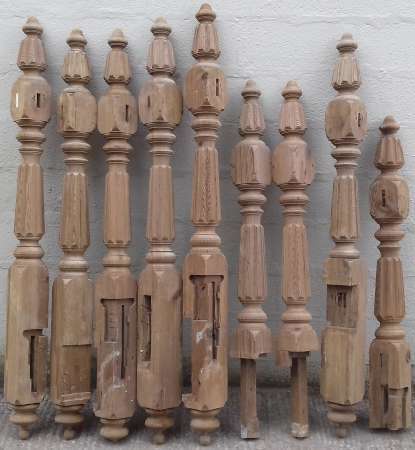 Set of 12 Victorian pine spindles. 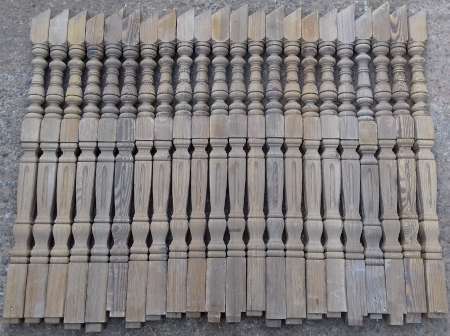 8 Victorian pitch pine staircase spindles. 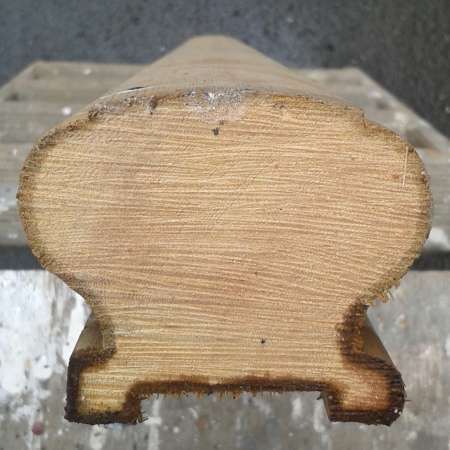 Victorian pitch pine newel posts. 1675mm total length x 125mm x 125mm square section. 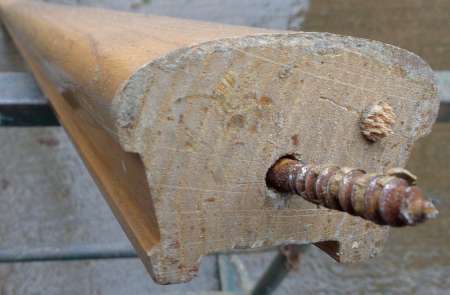 Turned section – 900mm in length. 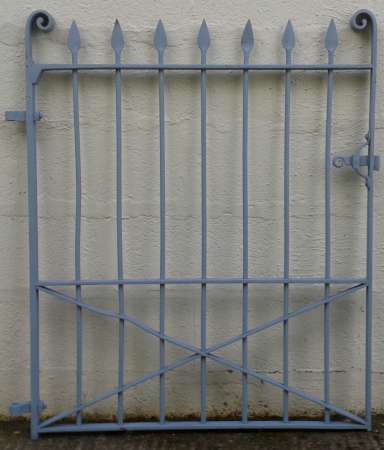 Section – 58mm x 82mm. Lengths of – 4 @ 2600mm 1 @ 2500mm: Total – 12.9 metres . 71 1/4″ in length x 5 3/4″ square in section. 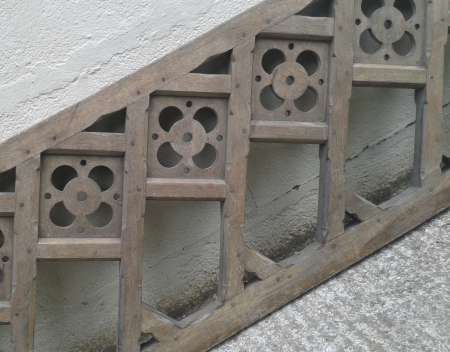 Top rail – 3350mm x 42mm. 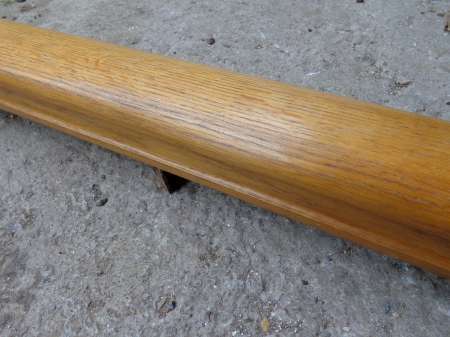 Bottom rail – 3380mm x 42mm. Each section – 245mm in width. Angle of rise – approx. 30 degrees. 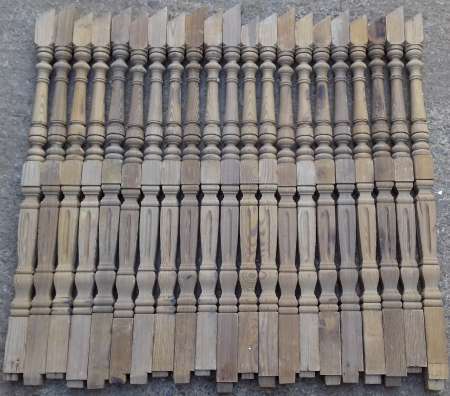 6 Pitch Pine spindles @ 1 7/8″ square. 2 @ 29 1/8″ max. length. 1880mm x 72mm wide x 58mm. 1548mm max. length x 147mm square section. 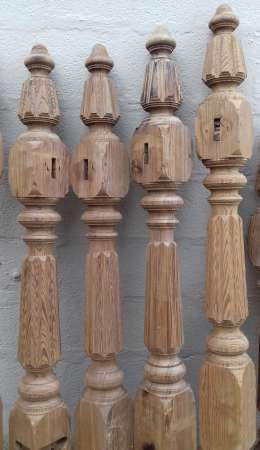 Victorian pitch pine staircase spindles. 16 @ 33 3/4″ x 1 5/8″ square. 8 @ 28″ x 1 5/8″ square. Victorian newel post in pitch pine. 1405mm x 97mm x 97mm / turned section – 820mm. 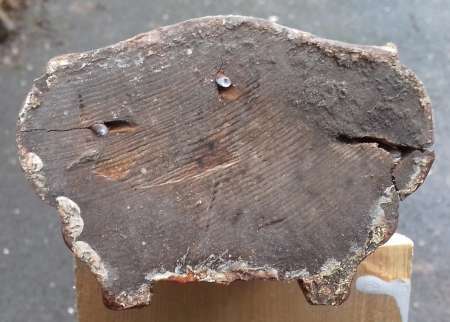 1535mm x 97mm x 97mm / turned section – 940mm. 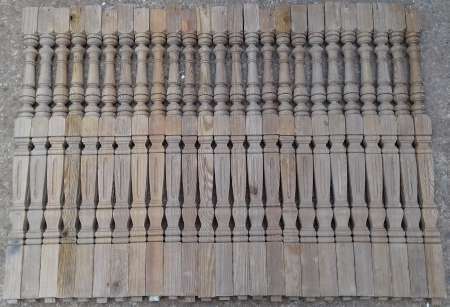 Set of 17 Victorian pine spindles. 910mm x 35mm x 35mm. 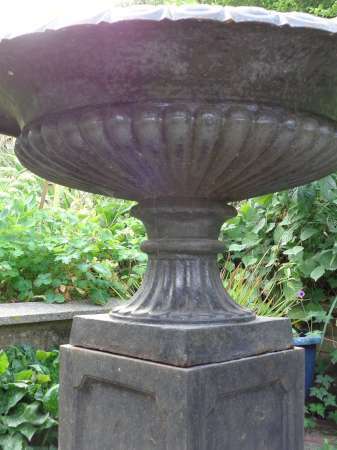 2 Victorian pitch pine finials. Diameter 12omm x Height 160mm. 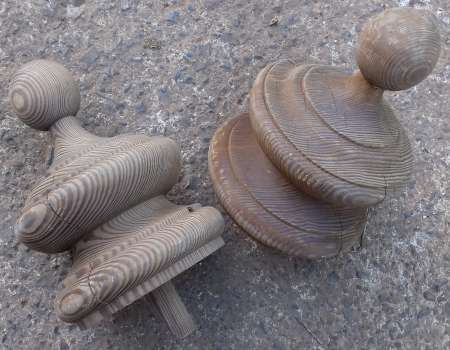 Set of 27 Victorian pine spindles. 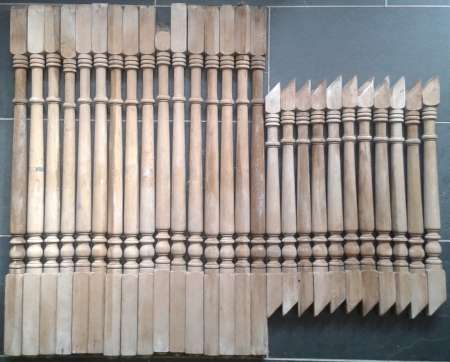 16 spindles @ 885mm x 40mm x 40mm. 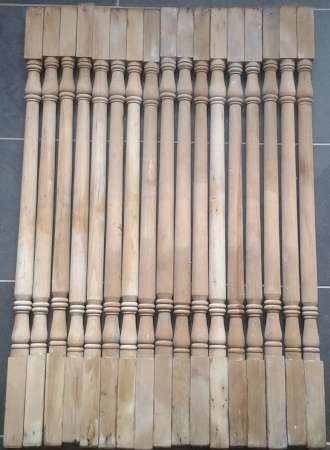 11 spindles & 600mm max. length x 40mm x 40mm. 1930mm x 95mm x 100mm. Turned section – 800mm in length. 1210mm x 95mm x 100mm. 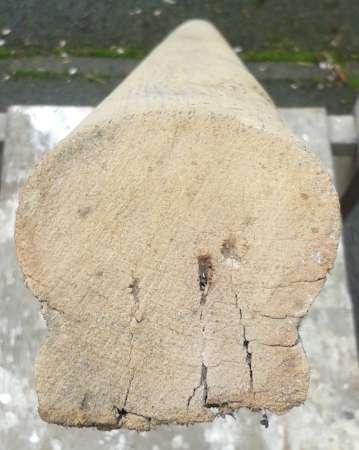 Turned section – 795mm in length. 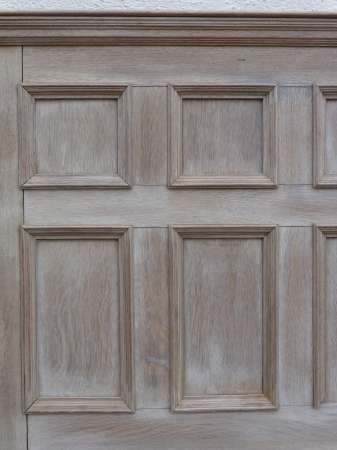 2 matching lengths of 2200mm & 1855mm x 83mm wide x 55mm deep. 71mm wide x 58mm deep x 3 lengths of 2110mm, 2080mm & 770mm.